We invite the North Memphis Community to come out and be a part of National Night Out, a spectacular movement that helps bring the community together and promote a safer community environment. Promise Development Corporation is partnering with Oasis of Hope CDC, April Woods Apartments and Bickford Community Center for this year's event. National Night Out will be held at the Bickford Community Center (233 Henry Ave, Memphis, TN 38107) on August 7, 2018 from 5:30pm to 7:30pm. National Night Out is for everyone in the community - children and adults. There will be food, games, prizes and much fun. 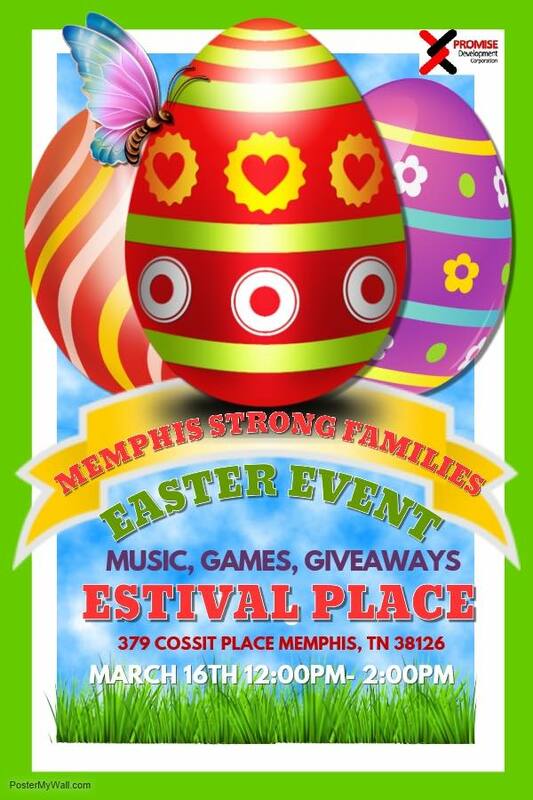 North Memphis community churches and many vendors of various organizations will be present at the event as well. Promise Development appreciates your willingness to participate, and we look forward to making this event GRAND! Promise loves celebrations! And what better time to celebrate than for our national's independence? Check out all the fun we had this year with yummy food from the grill, water games and community friends & neighbors coming together for the 4th of July. Join Promise Development Corporation as we bring local flavor to National Night Out, an annual community-building campaign promoting neighborhood camaraderie and safety. We're celebrating the creation of more caring places to live. As a part of millions of neighbors across the country taking part in National Night Out the first Tuesday in August, Promise brings food, games, shows and much fun. Promise connects with staff and volunteers to pull off the most anticipated event of the Spring season: Our annual Easter Egg Hunt for resident families in our communities. It's a day full of food, fun and prizes! Better homes, stronger communities - Join us as we celebrate our work! National Night Out is a sponsorship sample event for the calendar.